The area now known as the City of Moraine was so named because of the vast amounts of sand and gravel deposited over the terrain by the prehistoric Wisconsin glacier. Many of the hills and valleys in various parts of the City contain layers of the sand and gravel and a number of gravel pit operations are scattered throughout. The original inhabitants of this area prior to A.D. were the Adena and Hopewell Indians. Familiar tribes such as the Shawnee, Delaware, Miami and Iroquois fished, hunted, farmed and gathered fruits, nuts and herbs. The 18th century brought many settlers to this area. They farmed the fertile river land and later built and traveled the Erie Canal. At the turn of the century the Pinnacle Hills were the scene of many of the Wright Brothers observations. With careful scrutiny Orville and Wilbur Wright watched the hawks and buzzards glide and soar in the updrafts. During the period of 1910 to 1925 industrial development became centered around the DelcoLight Plant (later to become Frigidaire). Charles F. Kettering’s invention, the Delco-Light Set, enabled isolated farms previously lit by kerosene, candles or gas, if available, to utilize electricity. 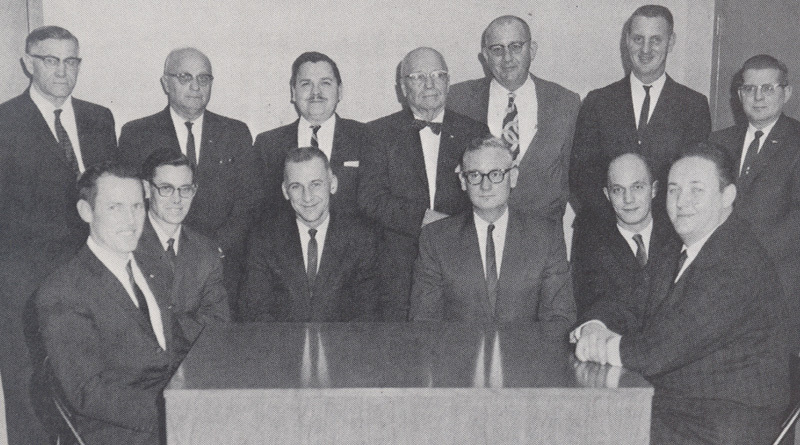 The parent company, Dayton Engineering Laboratories Company (DELCO), was organized by Kettering and Col. Edward A. Deeds, to produce and market their starting, lighting and ignition systems inventions. At the advent of World War I Colonel Deeds was made Chief of Aircraft Production in Washington. Deeds, together with Kettering, Orville Wright and H. E. Talbot incorporated the Dayton Wright Airplane Company. It was housed in the original Plant 2, located now at Springboro Road and Blanchard Avenue. Expansion of the Delco-Light Plant made building space available to manufacture the DeHavilland DH-4 Bomber Observation Airplanes. Of 4,846 planes built in this country, 3,106 of the planes were built in Moraine. Orville Wright became Chief Consulting Engineer for the airplane company and channeled more improvements and developments into the airplane. In 1916 Wright tested the first float plane at one of the first designated seaplane bases in the world, currently near the site of Moraine Airpark-Airport. In 1921 General Motors brought Frigidaire to Moraine, the stage for many of Kettering’s initial industrial developments and more of Deed’s experimentations in flight. Large homes were built on Blanchard Avenue, one of the first residential areas, to house the executives of Delco-Light Frigidaire. Many small business, toolshops and restaurants were constructed near the vicinity of the plant because of the proximity to rail service and adequate roads. In 1941 the Frigidaire plant became the scene of wartime production. Metal propellers for fighter planes and .50 caliber machine guns were manufactured until peacetime production resumed in December, 1945. The city was originally portions of Van Buren and Miami Townships of Montgomery County, Ohio. In November 1952, voters went to the polls and Van Buren Township became the Village of Kettering, population 25,000, named in honor of the inventor Charles F. Kettering. The citizens residing in the Western portion of the village went to the polls and voted to detach from the Village of Kettering with a vote of 421 for and 56 against. The new Township of Moraine was created on February 3, 1953. Moraine Township later became a village by a special election on July 23, 1957 (179 for and 97 against). In the late 50’s the Miami Shores area, originally designed and developed as the “Playgrounds of the Miami Valley” in the late 1920’s and early 1930’s, continued to be the scene of annual flooding. In January, 1959 the Great Miami River once again flooded its banks and all residents were evacuated. A drive tor a levy to protect the area from any further damage led to the erection of the Miami Conservancy Flood Control Levy in 1 960. The area was salvaged, utilities and street lights were installed. Streets were upgraded, and a new bridge was built. One of the oldest areas in Moraine had been saved. After two separate annexations from Miami Township, the Village of Moraine grew to a population of 5,465 residents and as a result of a special census, Moraine became a city May 12, 1965. Fifteen elected representatives designed and presented the Original Charter in 1966 as a governing factor tor the City. Alcine Grilliot served as Mayor at that time. Elizabeth “Tillie” Doersam was Clerk of Council, Lyndal Sutton, Treasurer and John Kudelka, Jr., Auditor. During 2015, the City celebrated our 50th anniversary.